You need to understand both the what and the how business is conducted in China if your case involves Chinese manufacturing. Its not enough to consider the facts. You must also consider the nuance of context. I just might have the most interesting job in the world! I spend a lot of time qualifying Chinese factories, helping my clients identify new sources and resolving production and quality problems. You wouldn’t believe some of the things I have seen. understand Chinese supply chain issues and the Chinese manufacturing environment. I have written about and testified in cases involving Chinese supplier contracts, quality issues, IP protection, importing into the US and securities issues. Attorneys are smart and they understand that you cannot evaluate a Chinese manufacturer through the same lens as a Western manufacturer. But what they don’t know is what lens to look though. That’s where I can help. Chinese culture is based on a completely different set of values and beliefs from our Western values. What makes perfect sense in China, leaves Westerners with a blank stare. For example, in the Western world we negotiate terms and conditions, production expectations, and quality standards and then all of this culminates into a written contract. To Westerners, this is the final step before execution of the work. But this is not a correct interpretation in China. In China, the contract is viewed as the starting point for what to do next. Chinese manufacturers will likely make changes to the production process, delivery schedule and substitute components or ingredients to create more profitability in the deal, despite what’s written in the contract. That’s why so many importers are surprised when quality starts to fade over time, when deliveries are not met, and when subcontractors substitute different component materials. Remember the lead paint issue with Mattel Toys? Or how about the pet food product ingredients? Western and Eastern points of view on contacts are opposites and very often misinterpreted in practice. The issue of IP protection is another area that is often misunderstood. In the US, we file patents and apply copyrights and expect that if there are violations, we will sue. In China, you should expect that products and technologies will be copied…this is simply the way business is done. A cheaply copied Chinese product can result in big profits when sold to third world countries in the Middle East and Africa. Chinese view product copying as an opportunity to earn more. Even if you sue for infringement in China, the judgments are typically very small and generally unenforceable. General good practices in manufacturing may not be implemented in Chinese factories. The use of standards such as ASTM and other industry-specific guidelines cannot be expected to be applied consistently. One of my clients asked for an ASTM Certificate of Conformance and that is exactly what they got - a certificate. It wasn’t until later that my client discovered that ASTM standards for testing were never in place in their supplier’s factory. They had not asked for compliance to the standard, just the certificate. In another case, toys with felt coverings were stored outside during the high-humidity summer months in Southern China. The felt grew mildew because of improper storage. It never occurred to the Chinese manufacturer that US consumers would not buy moldy products. Retail standards are not the same in China. I help my clients (and the attorneys representing them) to understand the nature of doing business in the rough and tumble and very high energy environment of Chinese manufacturing. The standards and practices are different and the culture of course, is a world apart. 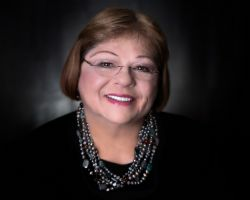 Rosemary Coates is the President of Blue Silk Consulting, a Global Supply Chain consulting firm, with an impressive list of over 80 clients worldwide. She is a seasoned executive with an MBA and 25 years of experience in industry, consulting and as an Expert Witness. She is the author of 42 Rules for Sourcing and Manufacturing in China, a Best Seller on Amazon.